Tomorrow Greenwich plays host to the annual Charity Pantomime Horse Race, with 20 ‘Panto Horses’ running, along with various fruit and vegetables and other animals, in aid of Demelza Children’s Hospice, who provide respite care for sick and terminally ill children. The race will be launched by comedian Arthur Smith who will be taking part as an Ostrich. Proceedings begin at midday at Devonport House, and the race starts at 1pm. At the time of writing, there is a pop-up banner in the Deptford Lounge with the heading 'The future of Deptford Town Centre'. 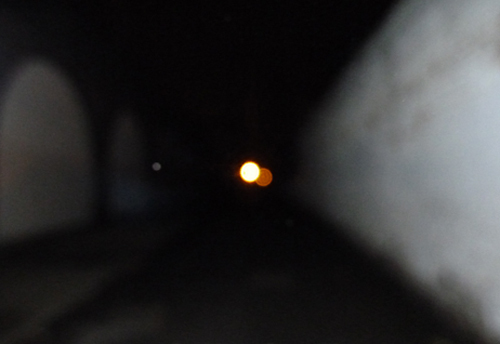 It stands alone, and there's no information to go with it. Going to the web address www.lewisham.gov.uk/regeneration given at the foot of the banner will not yield much more information except this two year old leaflet, which states 'the proposal will not go ahead unless the majority of residents support this proposal. This will take the form of an independent ballot. 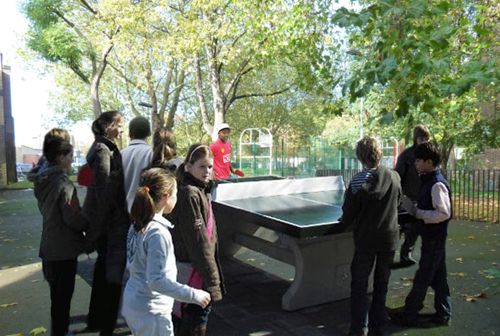 It is hoped that full consultation with local residents on these proposals will take place in late 2010'. We're pretty sure Frankham House have not been consulted. 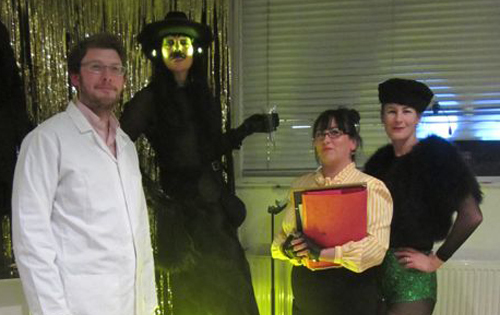 Happy New Year, Frankham House! 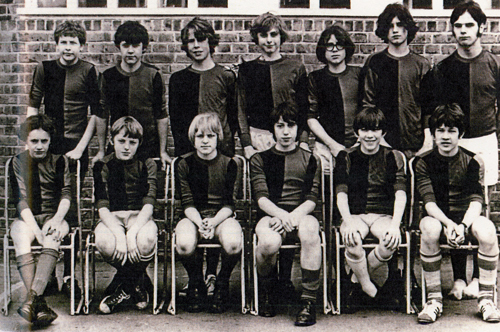 Danny Baker (back row, second left) in the 3rd Year First XI at West Greenwich Secondary School. Front, second right, is his later punk cohort, Mark Perry, with whom he started the legendary punk fanzine Sniffin' Glue. If you listen to Radio London during the day, you'll know that veteran DJ Danny Baker has recently departed his 3 o'clock slot (but can still be heard on Radio 5)*. 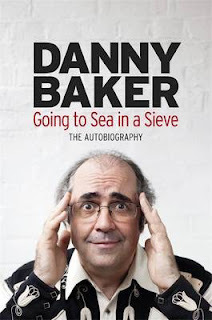 Just a month before in October, he also brought out his autobiography, Going To Sea In A Sieve. "At this point they had three children crammed into one bedroom. Consequently, when I was still a baby – indeed, because I was a very small baby – they were allocated a brand-new three-bedroom council flat on the ground floor of the Silwood Estate with a bathroom and a garden. They simply couldn't believe their luck..."
That's it for any more mention of Congers House, except on page 10 where he recalls that the family lived next door to a man called Jumbo Dray, who everyone called 'Jumb'. Congers House was subsequently refurbished. "Born in 1957 in Deptford, south London, Danny's first job after dropping out of school at the age of 15 was in One Stop Records, a small record shop in London's West End, frequented by Elton John and Mick Jagger, a store rather like the one in High Fidelity. His career in print journalism began in 1976 when he co-founded the fanzine Sniffin' Glue leading to an offer from the New Musical Express, where his first job was as a receptionist. Soon after, Baker was contributing regular astute articles, reviews and later interviews to the publication. 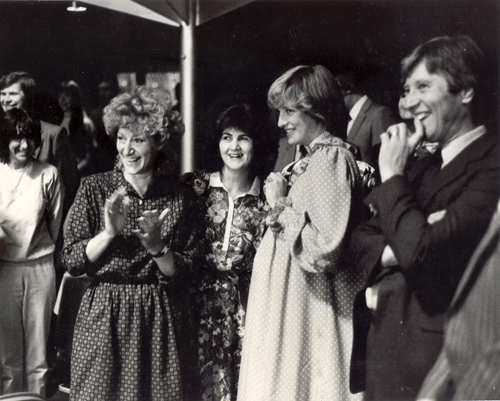 "Danny then began making 30-minute documentaries at LWT for the cult series 20th Century Box, and appeared in two television commercials: Daz washing powder and Mars bar chocolate. His stellar career on the radio began on BBC GLR in 1989, then moved to BBC Radio 5 where he presented sports shows including the groundbreaking 6-0-6, which still influences the media's approach to criticism of players, managers and referees. He also worked on BBC Radio 1, back to BBC GLR, Talk Radio and later on Virgin Radio." Baker joined BBC London 94.9 in 2001 presenting a Saturday show, then later the breakfast show. In 2005 he took over the weekday 3-5pm slot, featuring phone-ins and discussions with his on-air team regarding music and entertainment of the 1960s and 1970s*, and a Saturday morning show on Radio 5. "In May 2012, Danny won 'Sony Radio Personality of the Year' and appeared on Desert Island Discs. Six months earlier he had gone public on his cancer and chemotherapy treatment. This book charts Danny's showbiz career, the highs and lows, and everything in between, including the accusation that he killed Bob Marley..."
The Council's survey on residents' views of Lewisham's housing priorities is now closed. 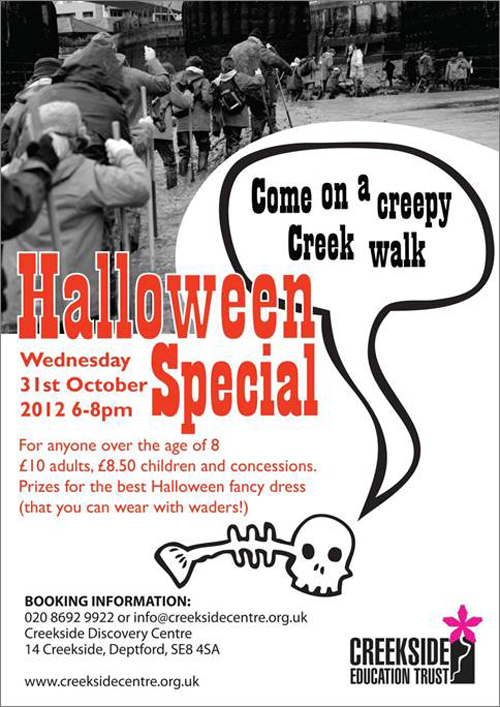 Did you take part? Did you understand the options? 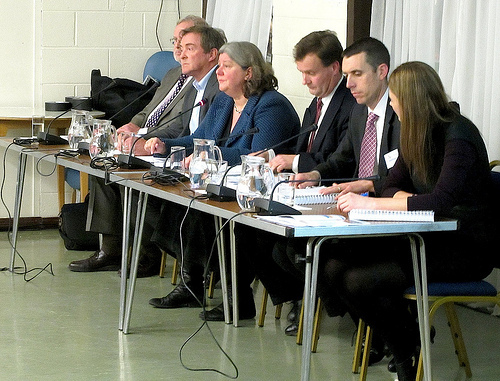 Firstly we were asked to comment on the council's five priorities for improving housing in the borough. What did we think was more important? Improving existing homes? Improving estates? Increasing the supply of affordable housing? Better housing for older people? Or giving residents more control? The council said they aren't allowed to borrow enough money to do all these things properly. With a lot more money more homes could be built, and provision for older people could be greatly increased. Did we agree they should 'explore options' to do more? Option One was to continue as is with Lewisham Homes managing our homes. Option Two would see the Council managing the homes it owns directly. We were told that with the above options, the Council could borrow enough money to build 250 new homes, continue to bring existing homes up to Decent Homes standard, make limited improvements to security and environments and sheltered housing, and build a flagship extra care unit for older people. In Option Three the Council sells off its homes ('stock transfer') to a 'resident-led' operation, ie Lewisham Homes becomes a 'Community Gateway' organisation. Option Four is to sell off all the property to an existing Housing Association. 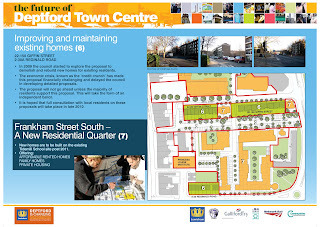 With these options, we were told that 600 new homes could be built, existing homes would continue to be brought up to standard, widespread improvements could be made to security and estate environments, all sheltered housing schemes could be made fit-for-purpose and the flagship extra care unit would still be built. The Housing Matters survey asked us how well we had understood the priorities and options presented. The information was presented in several different ways – as tables, or as tranches of disconnected Q&As – in a series of newsletters. The efforts of the Tenants Participation Advisory Service (TPAS) to explain the options and, in particular, how Housing Finance works, only complicated matters. It's an extremely complex subject, and there was far too much information to digest. Without being housing professionals or accountants, how were we supposed to know what questions to ask? We don't know, for instance, what other councils are doing. Apparently, some, such as Islington, are taking their housing back in-house, as in Option Two. This might result in a slight decline in services, but may also be around £1.2m cheaper to run. On the other hand, Lewisham Homes might save money by bringing all its services in-house (some are still run by the Council). The main difference between the first two options and the last two was that more 'affordable homes' could be built and housing for the elderly could be improved more than a little. 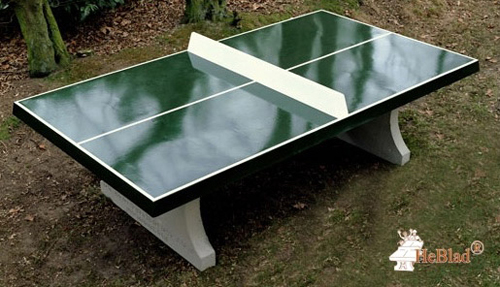 Obviously we all want this. But it can only happen if the council sells off all its housing. Options Three & Four represent the end of Council Housing as we know it – in Lewisham at least – although one could say that particular death knell sounded when Thatcher introduced the Right To Buy. (Local authorities had to spend the proceeds of sales to reduce their debt instead of being able to spend it on building new homes, resulting in a massive reduction in council housing stock – over 2m homes in the first two decades of RTB). The Labour government reduced the discount available, but the Tories have just put it back up to 75%. 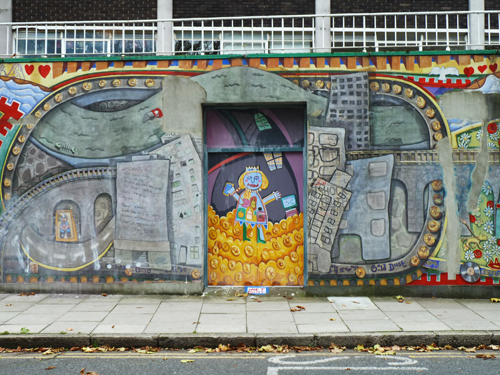 What is the point of building new social housing when tenants still have the Right To Buy? Affordable housing has been built as a result of planning agreements between local councils and private developers (Section 106), but these agreements are rarely enforced and delivered, and Boris Johnson ditched Ken Livingstone's 50% affordable target, so that it is now almost 0%. Most new-build properties in London are currently being bought by overseas investors buying-to-let. The government's response to the housing crisis is typically ideological (see Affordable Rents below). 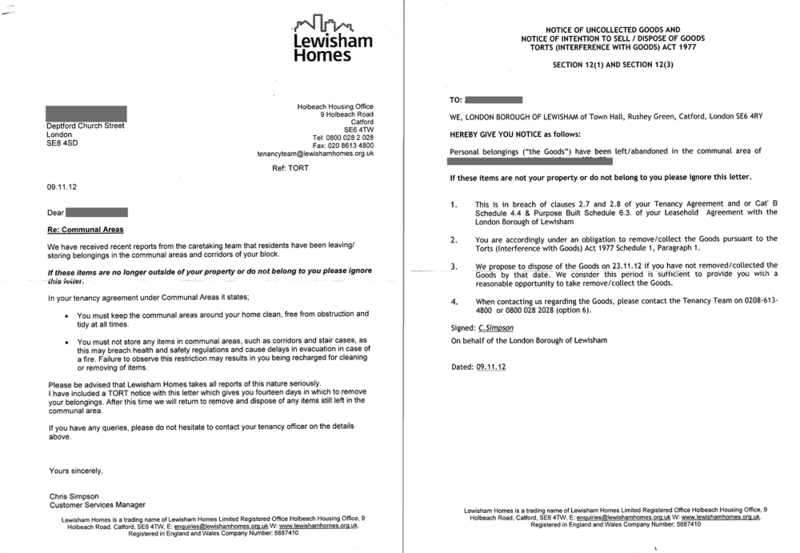 Although Housing Association tenants only have Assured Tenancies, existing Lewisham Homes tenants with Secure Tenancies were told that under Options Three & Four they would not lose their rights in a 'stock transfer' and that rent levels would be protected for five years and then 'stay in accordance with central government's rent formula'. However, a promise by the new landlord not to use certain powers is not the same as the statutory rights ‘secure’ tenants have in law. See this report from a campaign group in Swindon. Option Four may not be the best, despite these promises, and for other reasons too. As it comes nearer to the choice becoming a reality and a bidding war between potential housing associations begins for what will probably be an incredibly cheap sell-off, all sorts of other promises may be made to lure tenants, such as brand new kitchens etc. – which ultimately may not be worth it when you’re faced with eviction. Even if Option Three is preferred, there would need to be the strictest guarantees of tenants rights written into any transfer agreement. New tenants with housing associations may be subject to the Government’s new 'Affordable Rents' policy, which is part of their “Affordable Homes Programme” (see the Homes &amp; Communities Agency webpage). This allows councils and housing providers "the flexibility to convert a proportion of social rent properties to Affordable Rent at re-let; the additional financial capacity generated must be applied to support delivery of new supply." In other words, they can let out some of their social housing stock at 80% of market value to raise capital to build more housing. Any such social housing provider would also be able to implement a range of 'end of tenancy' options (tenancies could be as little as two years). Lewisham Council recently voted against the introduction of 'Affordable Rents' and to keep rents at 30-40% of market value. But if our buildings were to be bought by a Housing Association, existing Lewisham Homes tenants with protected rents may find themselves living next door to someone who's paying twice as much rent as themselves. One of the bidders for the Council's housing stock may be L&Q. According to Inside Housing, L&Q have recently reported the largest ever surplus (£95m) generated by a social landlord, and other social landlords such as Affinity Sutton and Orbit Group are also likely to achieve sharp increases in surplus. It has been suggested that service standards might be lower – and rents higher – than they need to be to generate these 'profits', and staff cuts may be on the cards to increase profits still more. The Chief Executive at L&Q earns £218,000. Inside Housing also asked why these organisations are 'stockpiling their cash' – one suggestion is they need a fat surplus to ride out the storm of benefit changes in April 2013 when rents will no longer be paid directly to the landlord. If Lewisham Homes residents choose Option Three, they would be able to have more of a say in how their homes were managed. But the current level of "involvement" from residents is around 1%. Most people just want to pay their rent and have their homes suitably maintained in return. Why give up time to get involved on a voluntary basis to work alongside professionals who are being paid? The example given of a 'resident-led' housing organisation was Phoenix Community Housing, which owns and runs homes in Downham, Whitefoot and Bellingham. When Crossfields TRA met their CEO, Jim Ripley, he pointed out that his organisation works well with around 6,000 properties. At that size it is still possible for him to be familiar with all of the stock and many of the tenants. 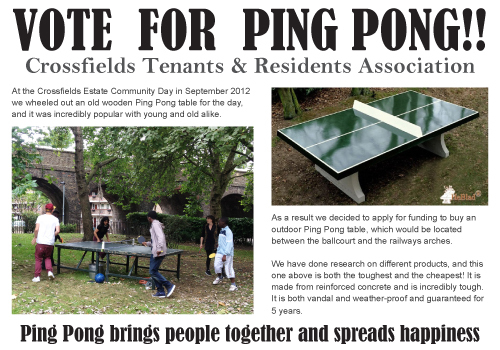 They operate like a Mutual (like the Co-op) – led by tenants with the interests of the tenants at heart. They currently have a 96% satisfaction rate, apparently. However, the Housing Matters team has said that any stock transfer would be wholesale and not in parts – over 16,000 council properties in all. Jim suggested a stock transfer of this size may create too big an organisation to function properly as 'resident-led', and it might be better to split into two different organisations. Why not three? The large number of homes Lewisham Homes is responsible for (along with Regenter B3) might explain why, despite the efforts of the 'Get Involved' team, it has failed to engage its residents more successfully. By contrast, L&Q has 68,000 properties – far too many to manage effectively with a 'tenants first' ethos, but then L&Q isn't 'resident-led'. 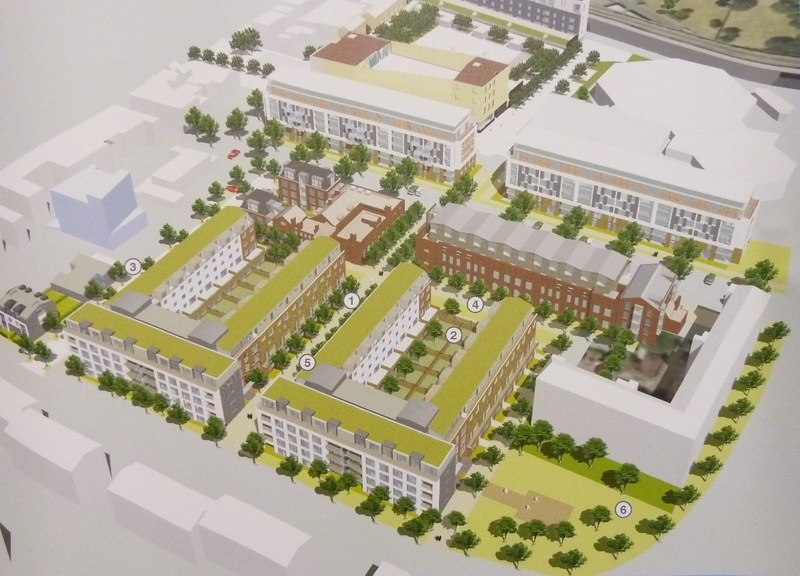 With Lewisham Council's remit for up to 600 new homes to be built by a new landlord, Option Three needs considerably more thought. Of course, the same is true of Option Two, with the Council managing in-house. They admit that Customer Services might be the first thing to suffer. Leaseholders may also wish to know that housing associations charge VAT on their management fee. Just as there needs to be thorough examination of 'assured' tenancy agreements made in any stock transfer, there is an equal need for leaseholders to be protected. 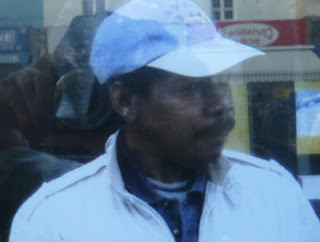 Brockley Leaseholders are currently in battle with Lewisham Council over the botched PFI contract that Lewisham negotiated with Regenter B3 to manage their homes, in which they were made liable to pay up to £10K every five years for unnecessary major works, in addition to annual service charges. Meanwhile, TPAS has published the minutes of the Housing Matters Resident Steering Group (a group of 12 residents from various TRAs) on their dedicated webpage – although November 28th's minutes are not yet available at this time. The minutes of 14th November reflect the difficulty TPAS have had in getting anyone interested in 'Housing Matters' whatsoever, although it also shows that the steering group have learned all the jargon and given a great deal of time and thought to the issues. There is also supposed to be a third newsletter from TPAS to conclude the process. Then there will be TPAS's report which must go before Mayor and Cabinet. If you weren't in Deptford High Street last Saturday, or indeed, the weekend before, you won't have picked up this flyer or noticed anything out of the ordinary going on. But some of the money awarded to the high street by the Mayor's Outer London Fund is being put into action in the lead-up to Christmas and events have already begun. There'll be more events on each of the remaining Saturdays – including the showcasing of the Deptford Community Cookbook, an idea conceived and put together by Niaomh Convery, who lives on Crossfields. GCDA (Greenwich Co-operative Development Agency who are the new 'Renewal Managers' and have organised the activities), have also funded the printing of Niamh's book and will be selling it at live cooking demos outside Cod Fathers. There will also be a 'Sewing Surgery' (altering clothes while you wait), buskers by the Anchor, a present wrapping service, singing in Douglas Square, a street dance workshop and performance (on 22nd December) and also on the 22nd a Lantern Making Workshop at Deptford Lounge (with Emergency Exit Arts - booking required) that will lead to a giant Christmas Tree Procession from Giffin Square. Seven new young traders are also showcasing their wears, including Niamh's Preserves (not Niaomh Convery), Daisy's Decor, Icee Coutier, American Bites, Mr Denim, Sylvia's Vintage Gems, and Cates Cakes. 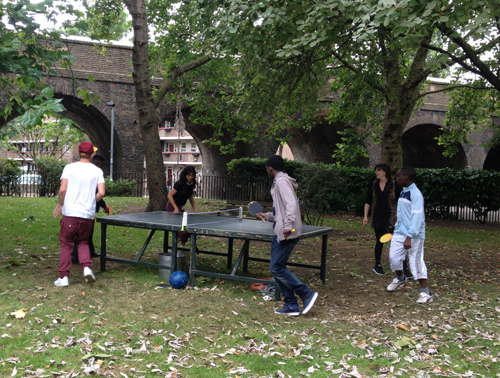 Have a look on Lewisham's website to read more about these brave young entrepreneurs, or click on the leaflet above to read in brief. 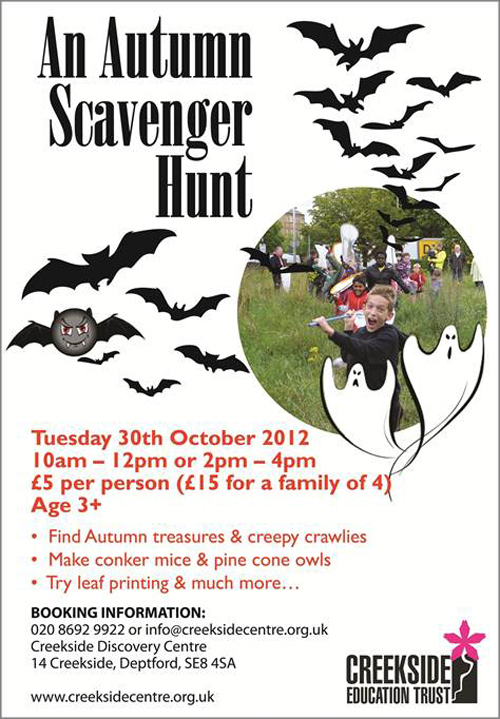 To book for the lantern making workshop contact Mel on 020 8269 4880 or email mel@gcda.org.uk. 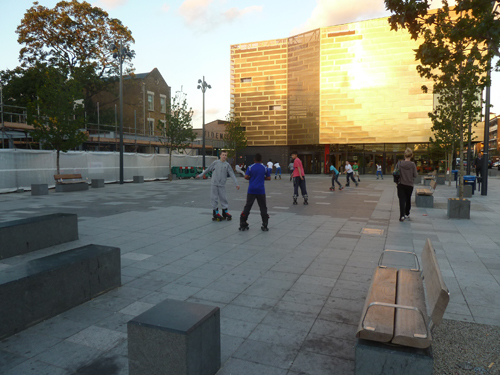 You can also find out how the rest of the money (£1.5m) that was awarded to Deptford High Street is going to be spent here. 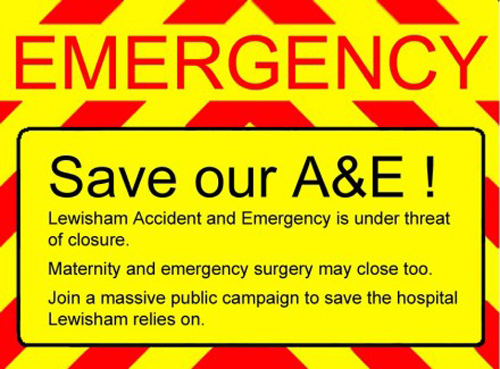 ...Every London borough needs its own fully functioning A&E Department, and Kershaw’s proposals will essentially disembowel Lewisham Hospital in a very short period of time. Without being able to deal with emergencies, the hospital will steadily be starved of patients, and, in any case, a hospital that has had 60 percent of its buildings sold, and is giving over most of the rest of its capacity to elective surgery — private surgery, in other words — is clearly not even a cottage hospital and certainly not one that can provide for the needs of a population that is as big as Brighton, or Newcastle, or Hull. At the consultation, the majority of the people who attended — either those protesting outside, or those who attended the consultation (to be, for the most part, patronised) — were extremely angry, and with good reason, I believe, as these plans are being sold as a necessity to improve clinical care across south east London as a whole, when, in reality, they are driven by the need to dig the South London Health Trust out of a hole, and by the demands of the government to make savage cuts and financial savings. 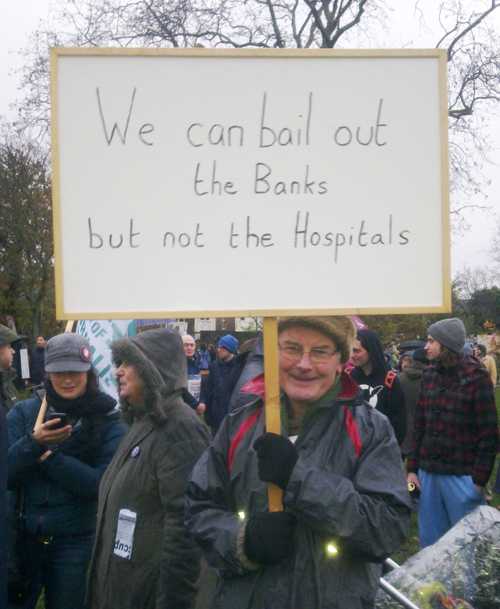 Money can be found to support the NHS as it needs to be supported, if the political will is there. ...Kershaw and his colleagues, who included Dr Jane Fryer, his chief medical advisor, Dr Mike Marriman, the medical director of King’s, and, alarmingly, Dr Andy Mitchell, the medical director for the whole of the NHS in London (see Andy's picture above), were left in no doubt by the audience that they were regarded as liars and as devious operators who had already made their minds up, that their consultation was a sham, and that people will die if the plans go ahead. The proposals regarding journey times to Woolwich were accurately dismissed as a fantasy, and there were numerous important contributions from audience members who pointed out the cost, for poor and elderly people, of having to travel elsewhere, and who gave examples of how a degraded A&E, turned into an Acute Care Centre but unable to deal with genuine emergencies, would be revealed as a dangerous absurdity if a sudden emergency occurred — if, for example, a seemingly straightforward birth turned into an emergency because a baby was strangled by its umbilical cord, for instance, let alone if there was any kind of major disaster in Lewisham as a whole. As Andy says, "the best way to keep the government and the executioners of the NHS worried is for people to keep fighting". 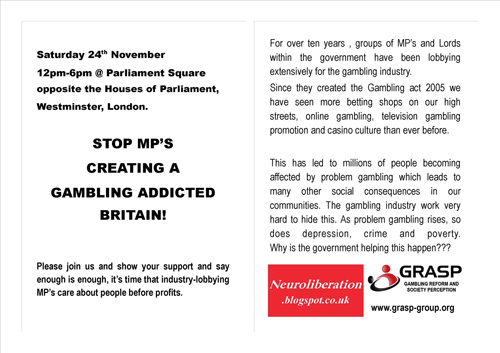 Sign the petition launched by Heidi Alexander MP (top right on this page), and fill in the official consultation form online before December 13th, when the consultation closes. An easy-to-follow guide to filling in the consultation's "Online Response Form" has been provided by Save Lewisham A&E. It really is simple, takes about five minutes, and you don't have to leave your name and address. You can also follow Save Lewisham A&E on Twitter and on Facebook — and look for the Twitter hashtag #thankslewisham, where people are telling their moving stories of how staff at the hospital helped them into the world, or saved their lives. Some, but apparently not all, residents at Castell House were served TORT notices on 9th November. Such a notice in the context of Housing is usually served "when there are uncollected goods and/or possessions that have been left or abandoned in premises by a tenant or lessee" under the Torts (Interference with Goods) Act 1977. In this case it refers to the possessions tenants and leaseholders are keeping on the balconies outside their flats, and residents were given 14 days to remove them. The 'Tort' is a tool landlords can use to give them the power to remove items situated in communal areas such as corridors and staircases that are likely to represent an obstacle or trip hazard, such as on a walkway which is a fire exit from the building. Since the items in this particular case are not "uncollected", "left" or "abandoned", it's a rather ambiguous way of asking residents to keep the communal areas around their homes clean, tidy, and free from obstruction, and is therefore open to misinterpretation. Some residents in Cremer House have now been issued with the same letter and 'Tort Notice'. When a Castell House resident, who has a couple of plant pots (plastic) outside her door, called the number provided (the Tenancy Team) she was told it was a blanket letter and to ignore it. Another resident who called has plants and a bit of wooden furniture outside and was told the same thing. It was only when she questioned further that she was told they knew she had flower pots and wooden furniture that were in contravention of the notice and that she must remove them. Had she not pressed the matter further she might have disregarded the notice and then found her items removed. She removed the wooden furniture, but left her vegetable and flower garden, which is all in non-flamable containers. She has had washing machines, furniture and fridges delivered, and been visited by friends with baby buggies and wheelchairs, with no access problems whatsoever, so didn't consider them as 'obstacles'. She was later called by Customer Services who told her the flower pots would not be removed. 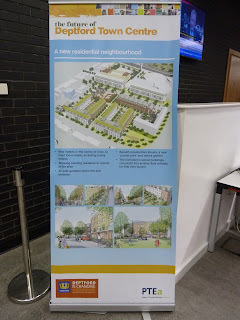 As we reported previously, only about 10 people attended the Fire Safety meeting called by Lewisham Homes on 6th March. We also referred in that post (which we urge you to read again) to the guidance issued in 2011 by the Local Government Group regarding Fire Safety in purpose-built blocks of flats, in which a 'managed use' policy might permit residents to place pot plants and door mats outside their front doors. After a walkabout with the Fire Safety Officer in March, the TRA suggested that the Fire Safety team print up and distribute a leaflet that explained exactly what is and what is not permitted, with guidelines as to widths and heights of permitted items. This never happened. So residents are not sure what they're allowed to store outside, and neither, it appears, are Customer Services or the Tenancy Team. 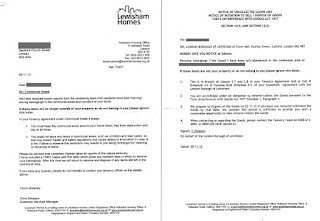 We don't know if any personal items have been removed by Lewisham Homes as a result of any resident's non-compliance with the Tort Notice, but if Lewisham Homes wants to continue their stated policy of "managed use" (to avoid a "zero tolerance" policy) they might do better to circulate a leaflet that clearly spells out the issue first (or even a poster in the stairwells), rather than issuing a legal notice that threatens to remove "unwanted" items – when most of the items in question are very much "wanted". UPDATE 11 December: Some Frankham House residents have also received the Tort. When the estate's trees were pruned in July, the TRA requested that any trees that had to be removed might be replaced, preferably with evergreens. 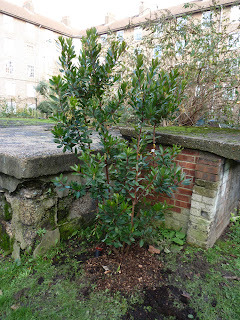 On Monday, this Strawberry Tree appeared at the corner of the air raid shelter next to the allotments behind Wilshaw. 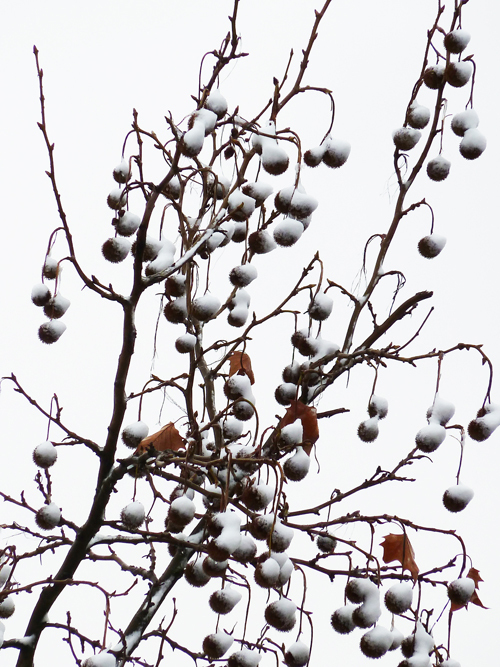 The small evergreen should flower in autumn, and its edible (but bland tasting) fruit will serve as food for the birds. 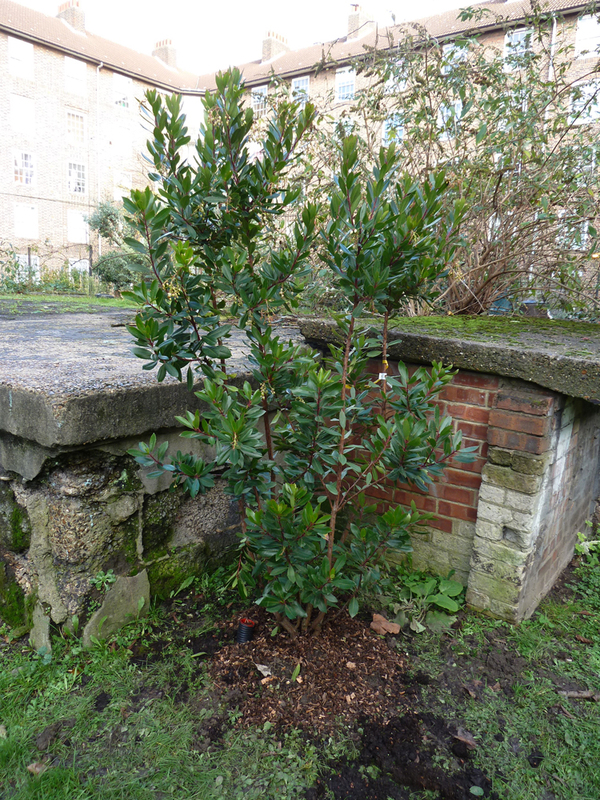 One resident who was pleased to see the new tree remarked "It's good to see them keeping their word!". Has anyone spotted any other new plantings? The countdown to Christmas wouldn't be the same around these parts without local artists and crafts people popping up to sell you their wares and work, along with an offering of mulled wine and mince pies. This coming weekend it's the turn of Cockpit Arts and Arthub in Creekside, both opening on Friday 7th (Cockpit 11am-9pm, Arthub 5-9pm, both free entry) and from 11am-6pm on Saturday 8th and Sunday 9th (£3 admission to Cockpit includes entry in a prize draw, no charge at Arthub). South London Art Map has a tour on Saturday 8th (2-4pm) that will visit these and other open studios (Creekside Artists and Hatch Space). See here. Deptford artists kicked off the season last Friday evening with lots of gallery openings as part of SLAM Last Fridays. 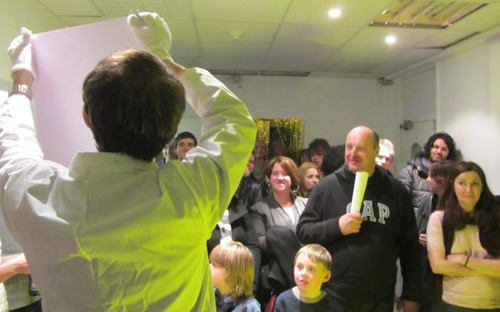 Over the weekend, APT opened their Christmas Parlour, to raise money for their new studio block (a new show opens at APT on Thursday). Utrophia held music events on Saturday afternoon and evening, and have events and shows running up to Christmas (look out for Crossfield's own Merlin Hayward curating a performance on Friday 14 December, 9am-3pm). 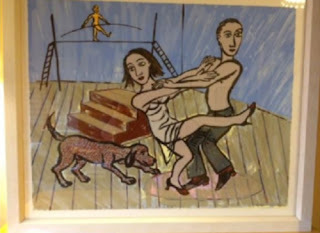 Meanwhile, St Paul's House Project Space in the high street held a most unusual Charity Auction Event on Saturday evening which raised an amazing £1782 for Cooltan Arts, the art and mental health charity based in Walworth Road. Artworks were donated by St Paul's House artists and friends, with starting bids set at £20. 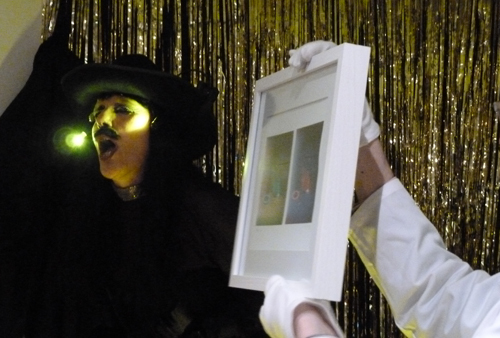 The auction featured a commanding performance by artist Julia Bardsley as auctioneer, dressed as a 'fallen angel' in an elaborate close fitting black outfit which included a rather large and protruding codpiece from which she occasionally dispensed gold chocolate coins. Her gavel was a cloven hoof, and she was assisted by a stylish and professional salesroom staff who ensured the auction ran smoothly. Some of the works for sale achieved a price of over £100 and one or two up to almost £200, with bidding wars breaking out for some coveted pieces. A £2 Lucky Dip meant attendees with smaller pockets could go home with a small postcard sized artwork.